LEE westwood is not about to court Lady Luck as he heads into the USPGA. The Englishman is refusing to wallow in all the sympathy thrown in his direction since his friend Darren Clarke won the Open. For Westwood it is simple. Play well enough and you don’t have to rely on good fortune. This last week here at the WGC Bridgestone Invitational has witnessed Westwood making the improvements which he believes will help him make the breakthrough to claim a first major title. As revealed in The Independent on Tuesday, he has signed up with a sports psychologist in Dr Bob Rotella and a putting doctor in Dave Stockton. After the Open, Westwood decided enough was enough. He led the tee-to-green starts but his putting was so poor he somehow contrived to miss the cut. “You can’t just keep on doing the same thing over and over and expect different results,” he was told by his agent Chubby Chandler. So, after more than a decade of resistance, he finally sought the assistance of a mind guru. Rotella told him to “putt like he did when he was 14” and stop over-analysing the space between the ball and the cup. Stockton introduced drills to make him grip the putter with less pressure. The result has been a more rhythmic motion. Westwood has been pleased with the progress although, as he set out in the final round here, he stressed the need for patience. 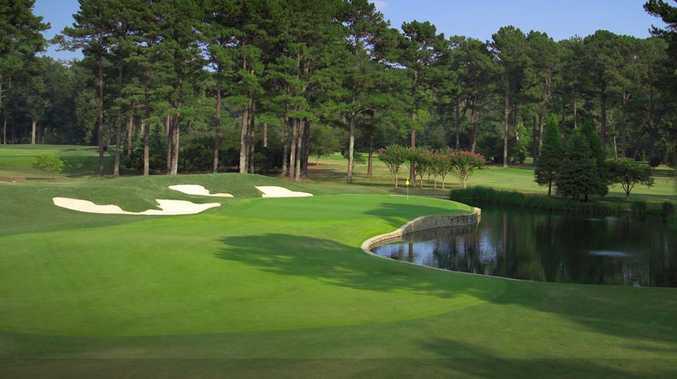 Not that Westwood is writing off his chances at Atlanta Athletic Club, which hosts the season’s final major. He says he was in a “rut”, but in these two years he has won four times and held the world No 1 ranking. 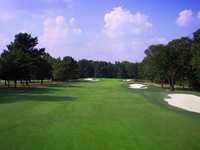 Furthermore, he has finished runner-up in both the Masters and the Open and finished third in a US Open. Some players would refer to this as a “groove” rather than a “rut”. This self-deprecation is indicative of the scale of his ambition. But he is refusing to get caught up by all the emotion of the “Chubby Slam”. 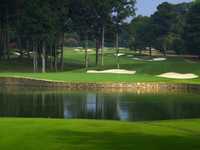 Clarke has stated his desire to see Westwood win the USPGA and complete the four-timer for International Sports Management, who also oversee the US Open champion, Rory McIlroy, and the Masters champion, Charl Schwartzel. Chandler has said a Westwood win would “complete” the year. Westwood, however, sees it differently. And Woods could do with hitting that piece of cut grass. On Saturday he hit only four fairways all day and yesterday his driver was once again misbehaving as he went through the first 10 holes in three over. A double-bogey on the sixth, after a wild hook off the tee, undid all the good work of his birdies on the second and fifth. On the 10th he dropped another with another wicked pull. It is fair to say that, at three-over for the tournament, the Westwood comeback was not going to plan. 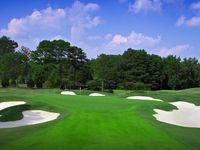 Who will win the 2011 U.S. PGA Championship? This poll ended on 16 August 2011.